You’ve identified the target you want to acquire. All of the numbers look great and so far, nothing scary has been found as far as past business practices or environmental contamination. All systems, Go, right? Hopefully. However, when you’re buying the business itself, you need to consider their recent actions too. Most industrial businesses will have some form of compliance footprint when it comes to environmental, health and safety (EHS) regulations – be it in chemical use and reporting, waste management and disposal, air emissions permitting, or wastewater and stormwater generation. Noncompliance in any of these areas can result in significant financial challenges, either from monetary penalties issued by regulating agencies, or in increases in operational budgets to cover environmental matters. If all permits are current and cover the existing operations. Often we see where a permit was obtained when operations began, but the permit is expired and was not renewed, or that modifications were made to plant equipment without commensurate permit modifications with the agency. Environmental professionals can help identify risks with expired or stagnant permits and outline costs to correct these issues. If the permits that exist can be transferred to the new operating entity and what those requirements are. Permit transfers can be straightforward notifications, but sometimes we find permits that cannot be transferred at all and that require entirely new applications to be filed. As environmental professionals, we are able to help our client ensure they plan for these potentially tricky situations. (link to permit transfer blog). If the permits have record-keeping and inspection requirements and if they are being followed by on-site personnel. When agency representatives perform inspections looking for possible violations, they use these documents as proof of compliance (or non-compliance, as the case may be). Your environmental professional will review the available documentation on-site – typically things that don’t make it to the data room – and evaluate whether the specific permit conditions are being met. Many permits require specific management plans and environmental protocols for which the facilities may have developed their own compliance and reporting tools. 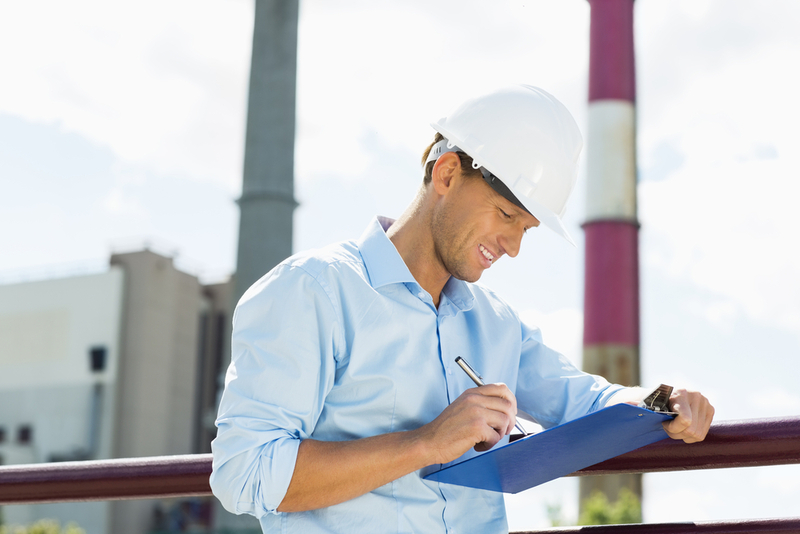 Consider whether these tools can be integrated with your own EHS management systems – working with an environmental professional that understands your management style can help you outline integration plans that close any gaps between the target and your systems, and hopefully identify opportunities for improvement or efficiency when the systems are merged. The above outlines potential EHS pitfalls for facilities with permits in place. All too often, however, we see businesses where environmental compliance has not historically been a major focus, particularly with small- to medium-sized companies that have been family-run for several decades. These businesses are very often overlooked by regulators because the regulators are focusing on the “heavy hitters” – businesses that are in the news or that are well known in certain regions of the country. Given their low priority on the regulators’ radar screens, these smaller businesses often take the approach of “no one told us we needed to get a permit for that”. This “mea culpa” strategy often works for one-off facilities, but once they have become part of a larger organization (possibly such as yours), then agencies may not be as forgiving without a proactive strategy. By including compliance review as part of the due diligence process, you can identify potential deficiencies and develop plans to correct them once you become owner. Interviews with facility personnel. At smaller facilities, management of environmental matters may rest with several individuals, typically people with limited training in these areas. Environmental professionals work with these individuals to identify potential areas where gaps in responsibility lie. We often see sites where different departments have partial responsibility for ensuring inspections are performed or records are kept, but there is not anyone with overall accountability for environmental management. Records kept at the facility. This documentation can include permits or plans, as well as inspection logs, sampling results, records of chemical purchases, or waste shipment documentation. Your environmental professional will review these records to confirm they conform to the regulatory requirements and identify data gaps that need to be filled. More importantly, your environmental consultant will identify if these documents are needed but are missing – which is often the case at smaller facilities. Common examples of missing documentation are waste registrations, chemical reporting, and storm water permitting. Control equipment in use at the facility. Your environmental professional will look at equipment designed to keep contaminants from reaching the environment, such as wastewater treatment equipment, oxidizers or flares to manage air emissions, or storage tanks and the secondary containment structures surrounding them. Environmental regulations often require permits for such equipment. Environmental professionals can review equipment specs or similar documents to determine if these pieces of equipment have the appropriate permits, or if they need to be permitted and have not been. Common types of equipment we see that are not permitted but need permits include generators, paint booths, and operations that use solvents. Most investment experts immediately think about how the economics of the operations of a target will fit into their financial forecasts. By also thinking about some of the above pitfalls, you can make sure that environmental compliance surprises are planned for as part of the due diligence process and integrated into the successful purchase and integration of the target into your own successful portfolio.